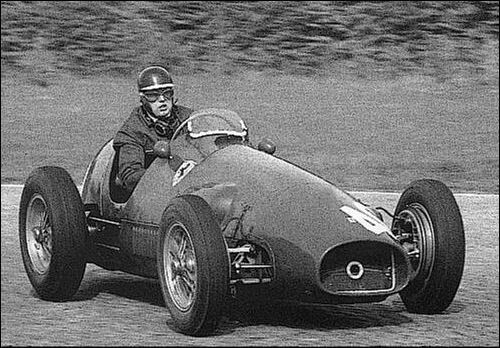 At the Ferrari stand wthere were two cars displayed and neither were in the sporting tradition as Ferrari builds his cars normally. 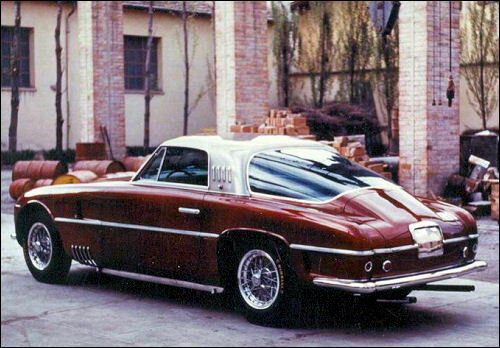 There was a 4 1/2-litre on the 375 Mexico chassis fitted with an extremely sleek grey coupe body by Pinin-Farina that was a nice Show exhibit but a bit too long in the bonnet to be wholly attractive, and there was a 3-litre 12-cylinder Europa model with a more normal Farina coupe body. 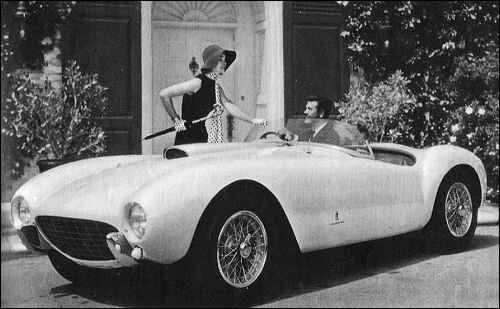 I had rather hoped to see a 500 Mondial sports car, now that it is a production car. 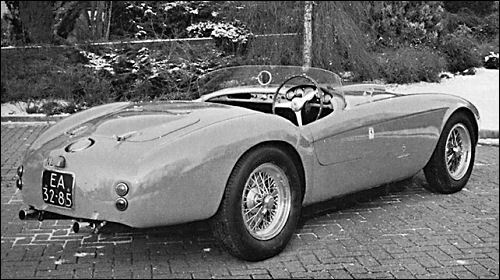 250 Europa (V12 cyl, 2963 cm³, 200 cv; 2800 mm) - end of prod. 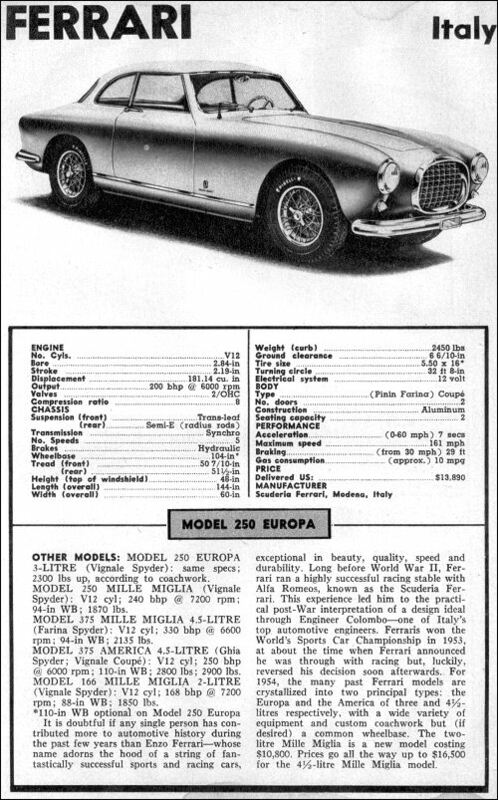 Built by Pinin Farina in October '53 250 Europa (#0303EU) displayed at Brussels Motor Show. 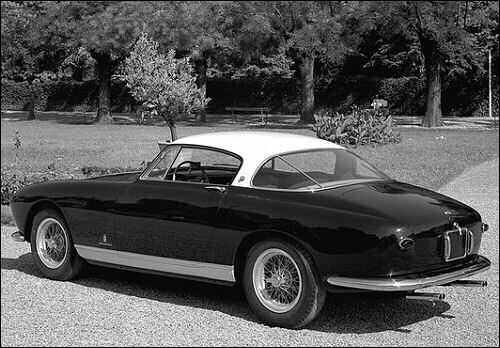 Built by Pinin Farina in '53 250 Europa Convertible (#0311EU) displayed at New York Motor Show along with Coupé (#0315EU). 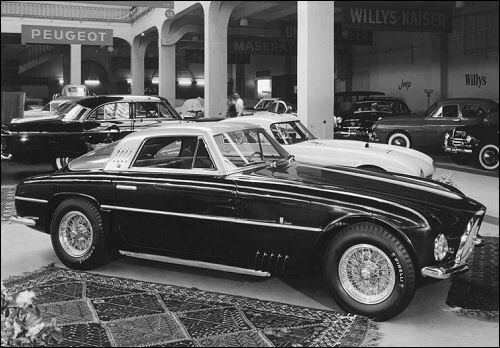 250 Europa Coupé Pinin Farina (#0349EU) and '53 (#0325EU) displayed at Paris Motor Show. 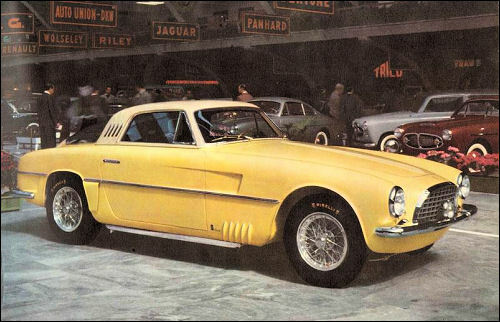 '53 Coupé Pinin Farina (#323EU) displayed at Stockholm Show. 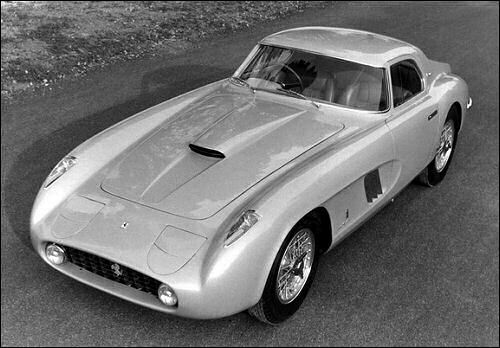 Coupé Pinin Farina (#0357GT) displayed at Paris Motor Show. 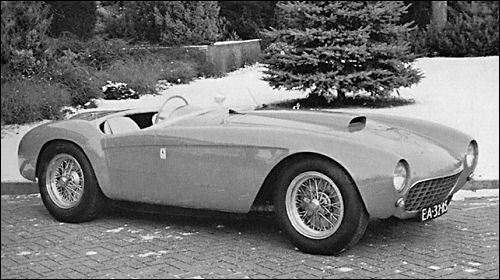 375 America (V12 cyl, 4522 cm³, 300 cv; 2800 mm) - end of prod. 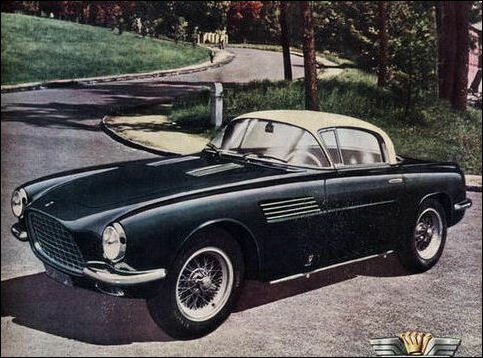 375 America (#0327AL) Coupé Vignale at Geneva Motor Show. 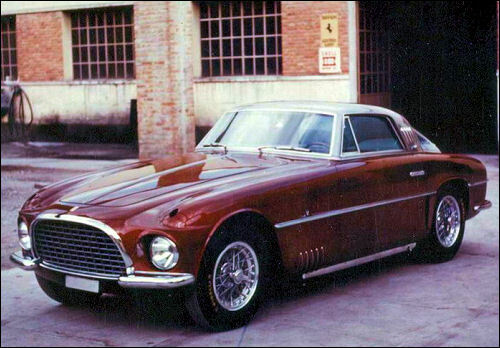 375 America (#0337AL) Coupé Vignale at Turin Motor Show. 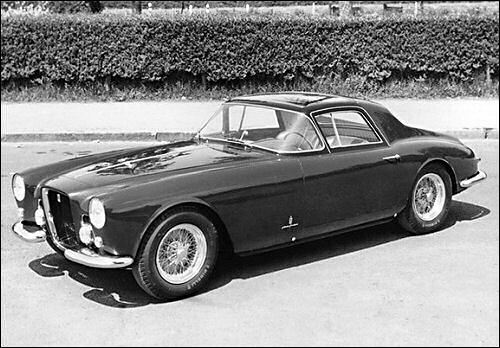 375 America (#0355AL) Coupé Pinin Farina Speciale. 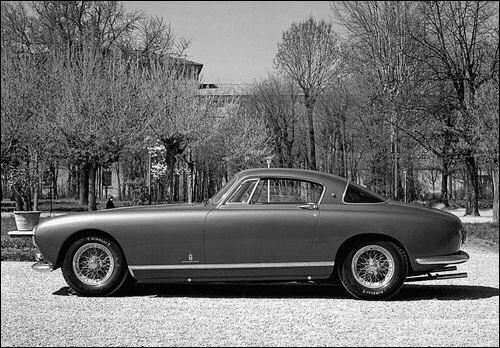 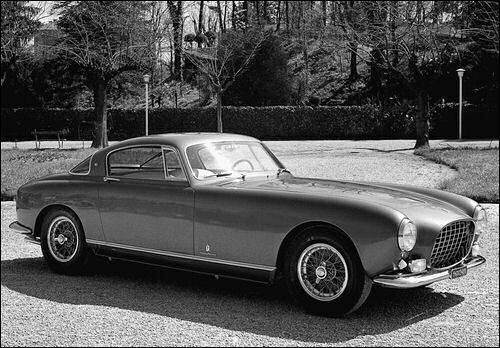 375 MM Berlinetta Speciale by Pinin Farina (#0456AM) built for actress Ingrid Bergman. 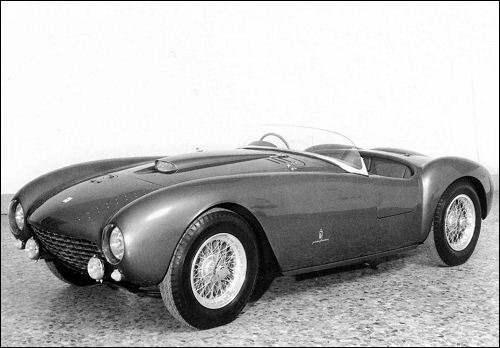 This car was shown at Paris Motor Show this year. 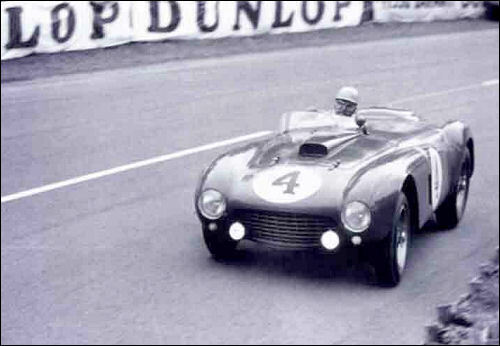 24h Le Mans 13.06.1954 (round 4) Entrant: Results: Perf. 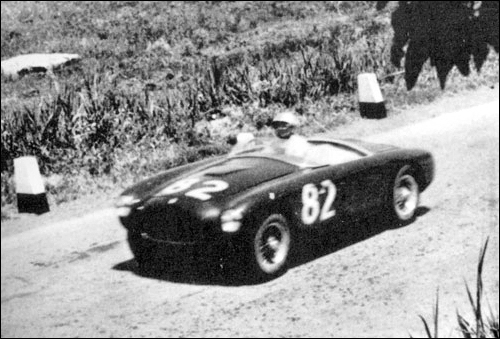 375 Plus Spyder Pinin Farina (#0392AM) at Carrera Panamericana. 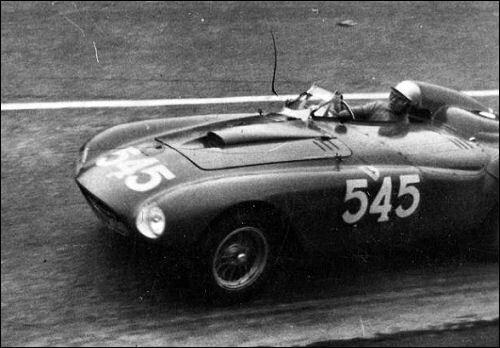 Cornacchia in 250 Monza Spyder Scaglietti (#0442M) at Carrera Panamericana. 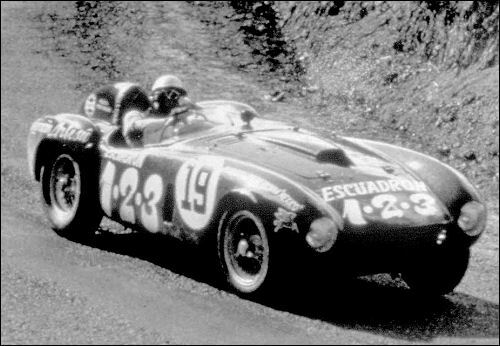 375 Plus (#0396AM) at Carrera Panamericana. 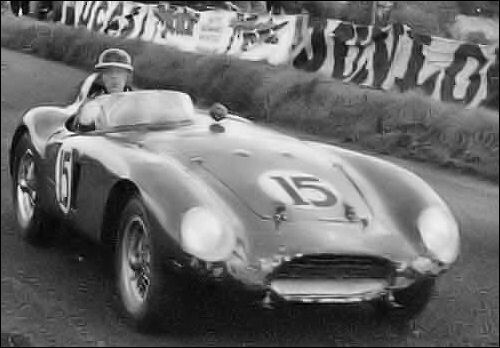 This car crashed killing Ford Robinson. 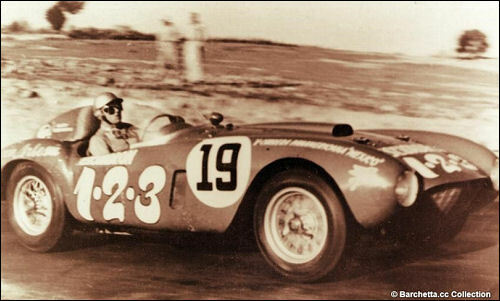 The winner of the Carrera Panamericana - Umberto Maglioli in 375 Plus (#0392AM). 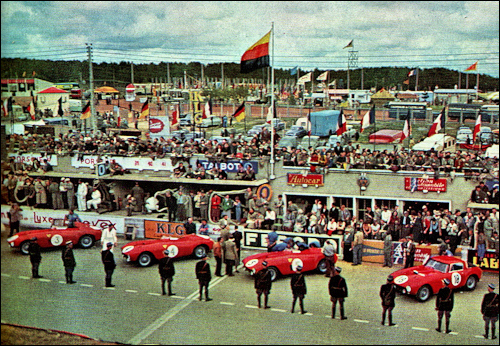 375 Plus (#0396AM) winning 24h Le Mans - Gonzales / Trintignant. 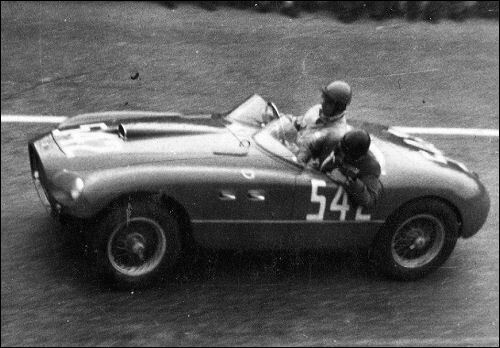 Umberto Maglioli in 375 Plus (#0394AM) at Mille Miglia. 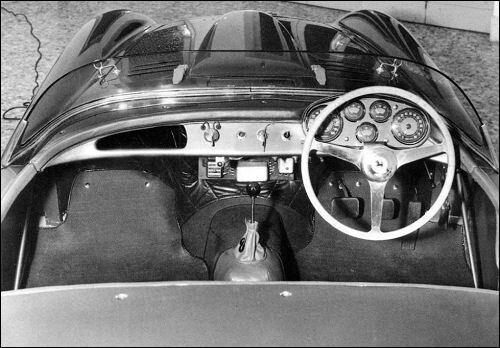 '53 166 MM Spyder Vignale (#0314M) at Mille Miglia driven by Primo Pezzoli/ Giacomo Moioli "Noris". 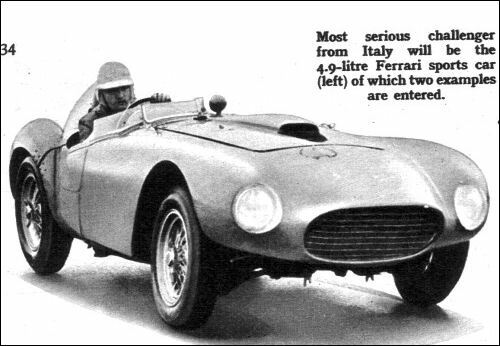 '53 250 MM Coupé Pinin Farina (#0254MM) driven by Innocente Baggio and Eugenio Berni at Mille Miglia. 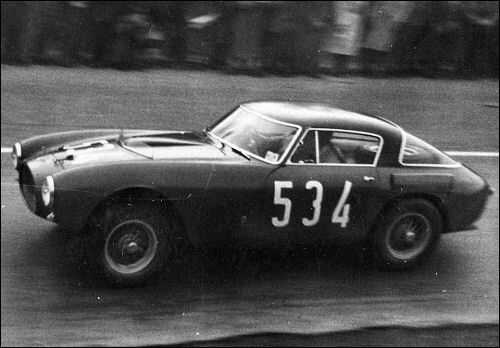 It has a new body after a fire at Mille Miglia last year. 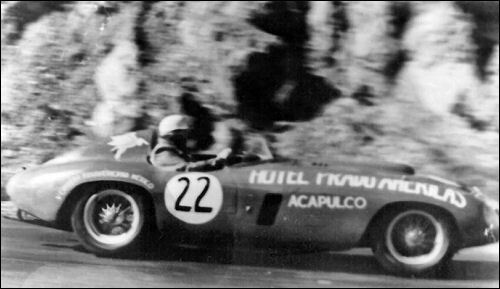 Ferrari 212 Export Motto (Ifo Minzoni) at Targa Florio. 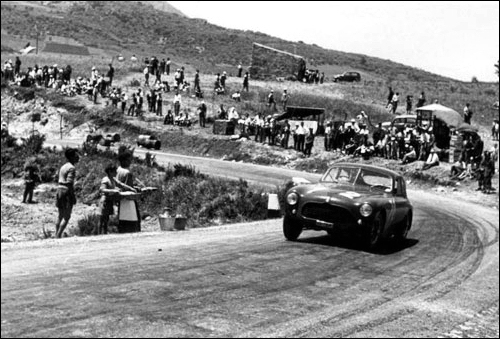 Ferrari 250 MM (Clemente Biondetti) at Targa Florio. 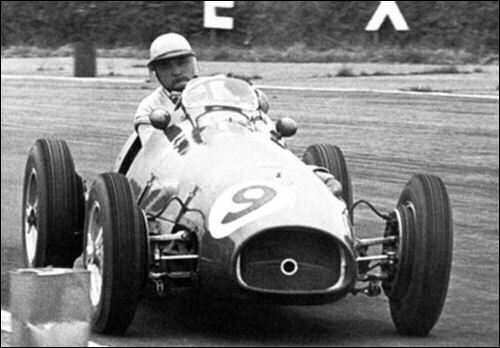 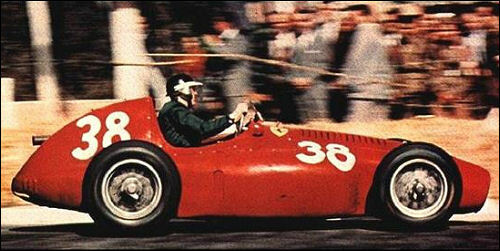 Hawthorn in 625 at Italian GP. 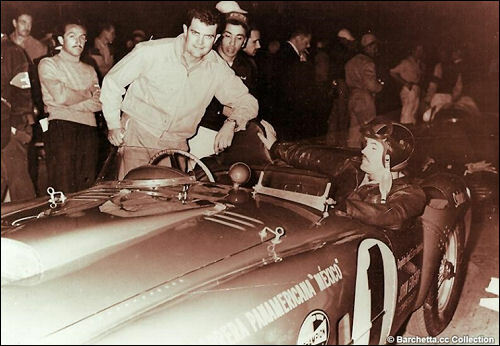 Hawthorn in 553 at Spanish GP.